As promised, I’m sharing with you another one of the patterns I had the privilege of testing for the Pattern Anthology collection. [If you missed yesterday’s post, read it here to see the Submarine Pullover!] 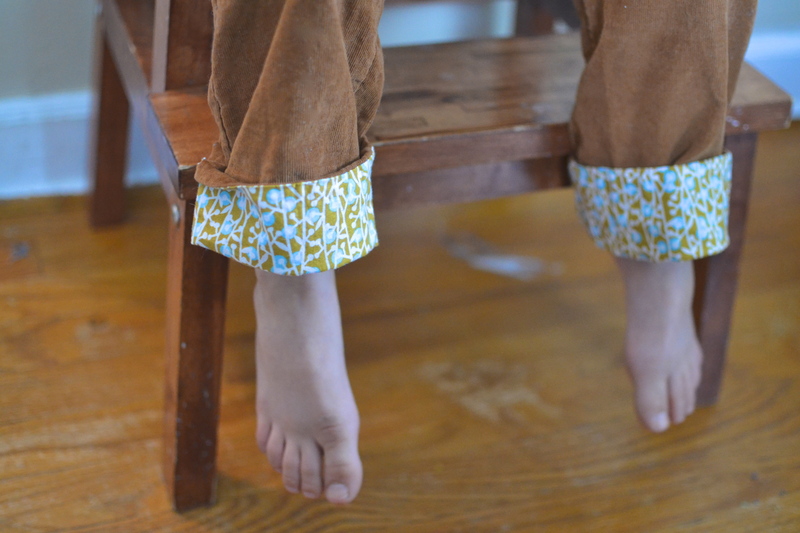 See Kate Sew is another pattern designer that you’ve got to know if you have littles to sew for. She has such a great style. Her little girl patterns kill me with cuteness. And as a mama of two, she knows a thing or two about what kids like to wear. This pattern was, of course, no exception! 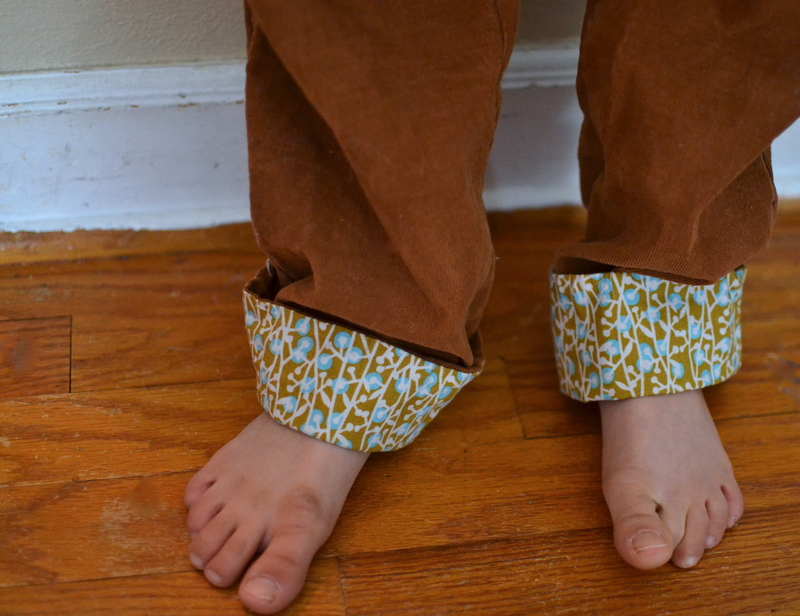 The Surfer Slacks are a super easy sew. I don’t think you need a lot of sewing experience at all to sew these, especially with Kate’s great photo instructions that are very clear and easy to follow. There is one pattern piece for all the leg pieces and the pants have an elastic waistband, so they sew up really quickly. 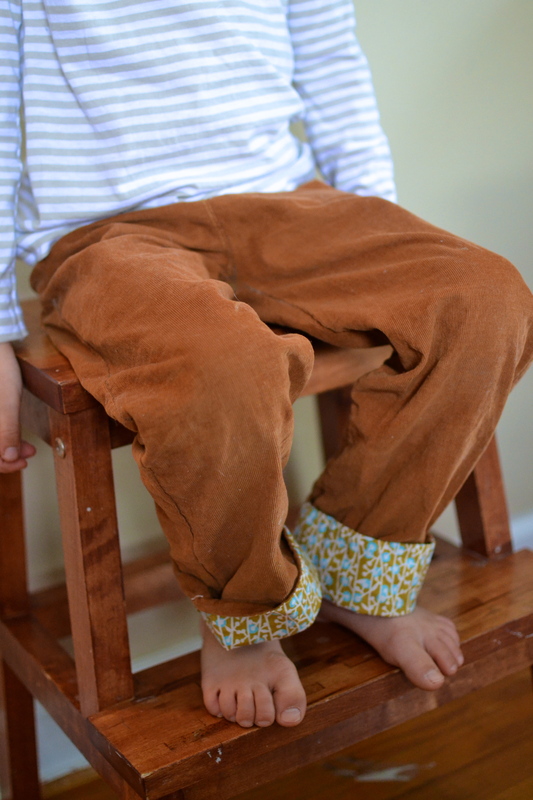 I tend to make my oldest pants that are much slimmer, since he is ridiculously skinny, so at first I wasn’t sure if I would like the fit. But after watching him in them, I realized that the looser, relaxed look works for him too. Perfect for my boy who is running, jumping, and moving all.the.time. 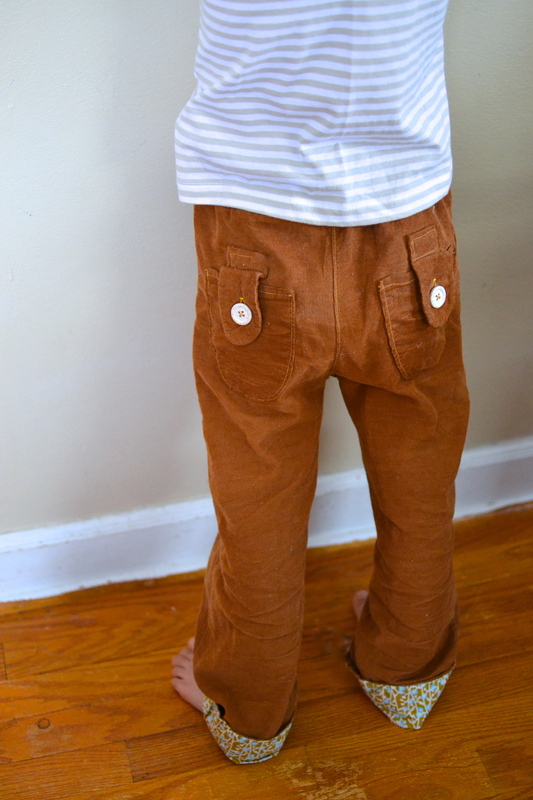 Speaking of fun details – how great are these back pockets? Don’t forget, the Pattern Anthology has patterns for boys AND girls and is a limited time package that you do not want to miss. Love them! Great fabrics, again! Love the print on the cuffs! I just found your blog, and am really loving it!